My name is Hanna Lahtela and I am a 25-year-old law student from Finland. 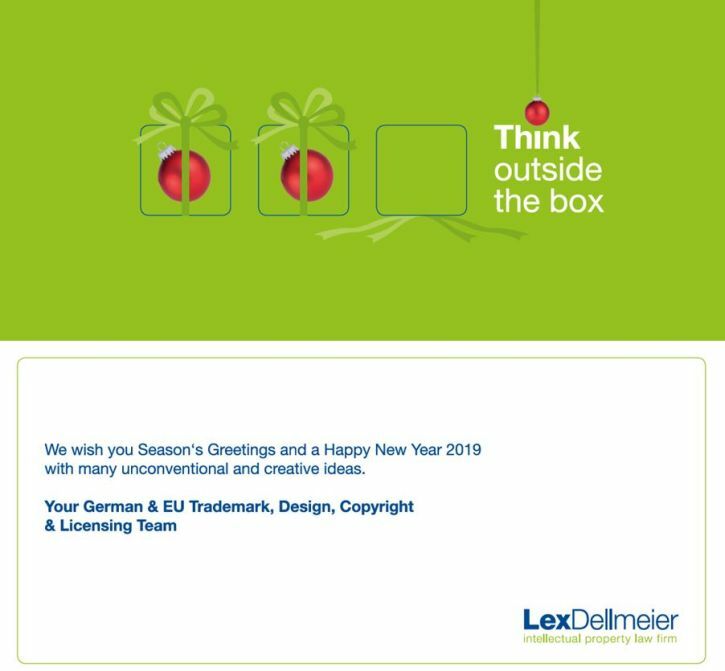 I will be working as a Legal Trainee at LexDellmeier Intellectual Property Law Firm from January until the end of June 2019. The European General Court (GC) – quite surprisingly – overruled a decision of the European Union Intellectual Property Office (EUIPO) Board of Appeal with its decision dated 3 October 2018 and ruled that the 3D mark showing the shape of a common amphora, but having a bulge, does not lack distinctiveness and is, therefore, registrable. On 3 December 2018, the World Intellectual Property Organization (WIPO) published its annual report on World Intellectual Property Indicators 2018 (WIPI). The report analyzes the IP activity around the world in the previous year 2017 and gives an insight on the overall number of filings, registrations and maintenance of trademarks, patents, utility models and designs. On 15 August 2018, the World Intellectual Property Organization (WIPO) published its Information Notice No. 12/2018. In this Notice, WIPO released a new version of the 11th edition of the International Classification of Goods and Services for the Purposes of the Registration of Marks (Nice Classification) that will enter into force on 1 January 2019.